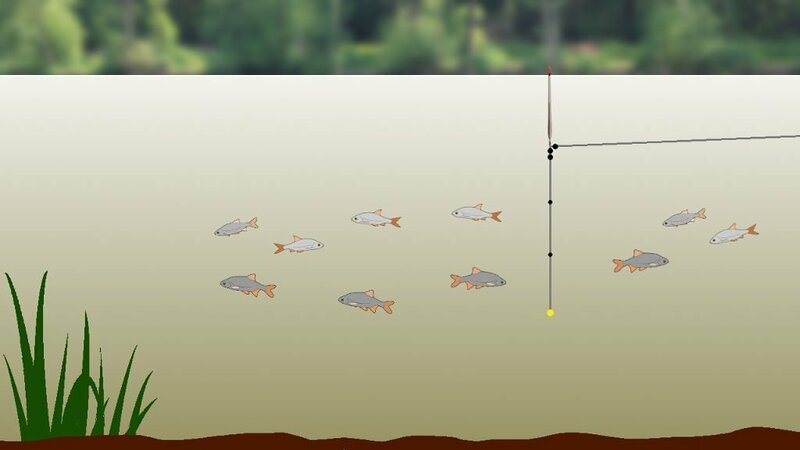 Is a technique for catching fish in the water column, somewhere between the surface and the lake bed. The idea is to cause the hook bait to sink slowly down through the water in a natural way. Fishing on the drop is most effective when the water is clear, often in the height of summer or the depth of winter. Roach and Rudd tend to be the target species. Not only because they are mid water fish, but they will often continue to feed on hot days, cold days and in clear water. 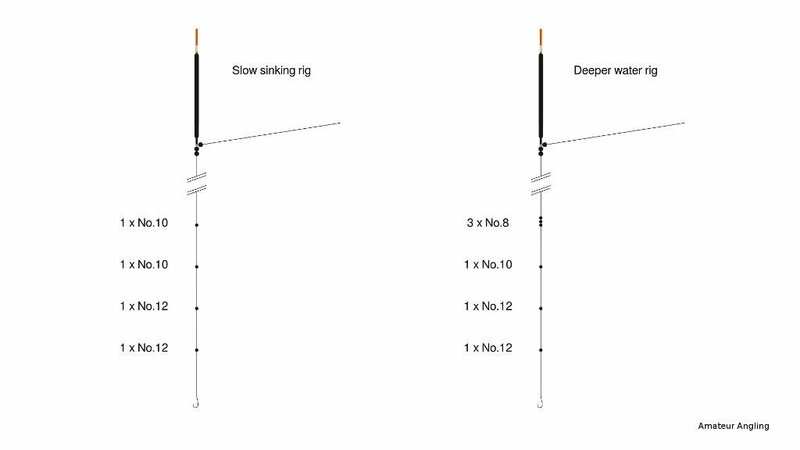 There are two basic rigs for fishing on the drop. On waters of no more than four feet deep, dust shot, is pinched on to the line between hook and the float, every 12 inches or so. All the rest of the shot carrying capacity of the float, is fixed directly under the float. Dust shot comes in sizes No.8 down to No.13, I like to use tens and twelve for on the drop. Some anglers prefer to use a loaded float, which already has most of it’s shot carrying capacity built in. 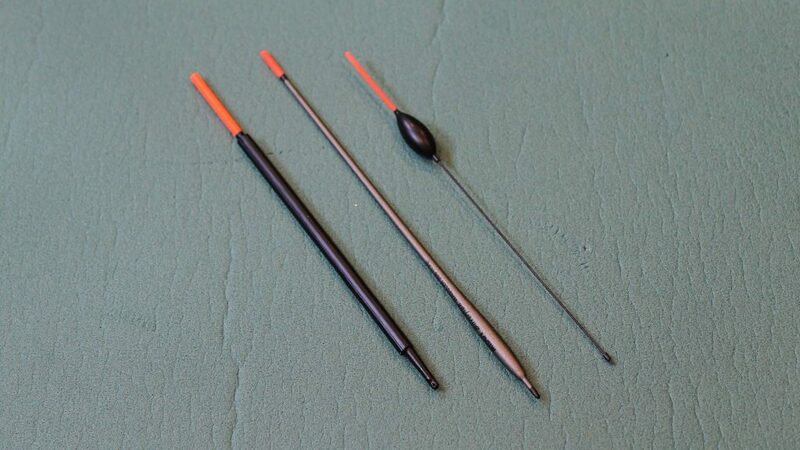 If the point of this rig is to allow the bait to sink slowly, it would not be unreasonable to imagine that it would be better not to have any shot below the float. There are three very good reasons why shot is used. 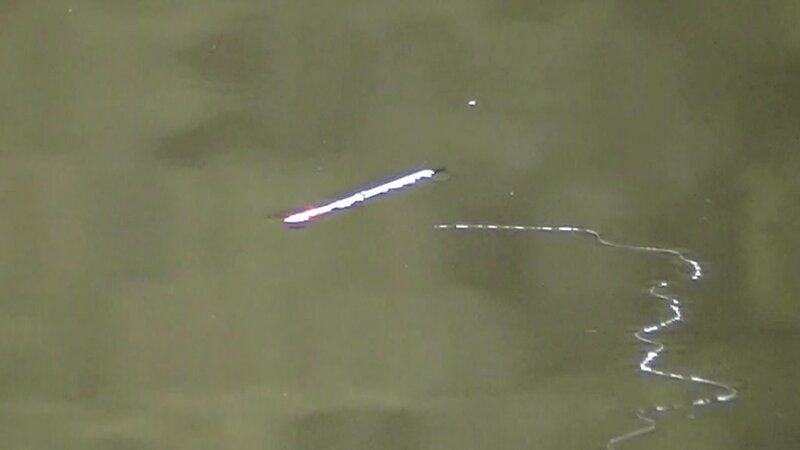 Firstly, the line has some resistance slowing the bait as it falls through the water. Adding some small shot to the line helps to ensure the bait falls at a natural speed and at the same speed as any loose feed. The second reason is perhaps more important. Without shot on the line, the line may not behave as you would like, on the cast or under the water. With no weight on the line to connect the bait with the float, a fish may need to swim a distance before the float registers. But even with a small amount of weight on the line, the float is likely to register a bite sooner. Lastly, as the shot settle, the float will be pulled down to it’s fully cocked position. If the float takes too long to settle, then a fish has intercepted the bait. An unsettled float, is still a bite. If the water is more than four feet deep, the float can once again become slow to register a bite. 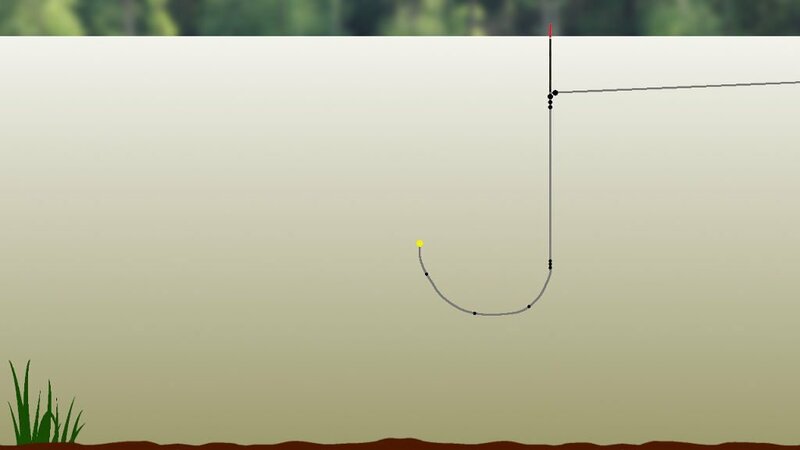 With this deeper water rig, a bulk of shot is used just over halfway between the float and the hook. Dust shot is then placed under the bulk at regular intervals as before. Once in the water the bulk quickly comes into play, then the rest of the rig sinks slowly down. 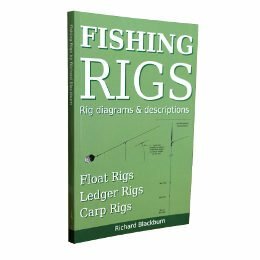 But instead of having six or eight feet of line between hook and float, we have just three or four feet between the hook and the bulk. A taking fish soon moves the bulk which in turn pulls the float. Because the bulk is just below halfway, the hook is still able to sink the full depth of the water column. 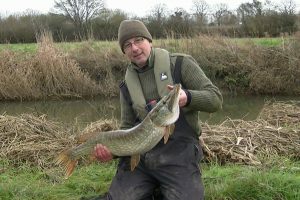 It is better to use as light a line as possible with these rigs, light line is more supple and less visible to the fish. Main lines of two or three pound breaking strain, with hook lengths of 12oz to 2lb I find are best. 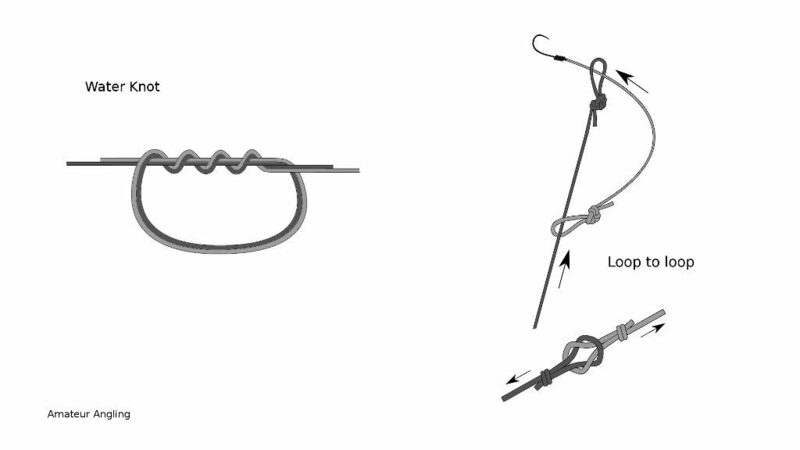 I like to attach the hook length with a four turn water knot, or you can use a loop to loop connection. I always use a hook length of around 12 inches long that is weaker than the main line. Not only in case of a line break, but also to have the most supple part of the line attached to the hook. 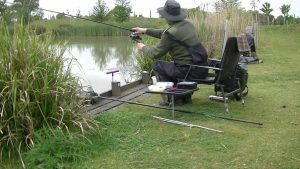 Clear water is best for fishing on the drop, a period of calm weather at any time of year can cause the colour to drop out of lake water. With the weather being calm, float choice is less critical compared to float fishing at other times. The float should be a sensitive float, an insert waggler, a small bodied waggler or perhaps a pole float are all possibilities. But whatever float you use it must be sensitive. By it’s very nature, fishing on the drop is best done with small baits on small hooks. Maggots, casters, bread paste, bread punch, small cubes of meat, in fact any small light bait should work on hooks from 22 up to 18. I would always recommend feeding to attract and keep the fish in your swim. A complementary loose feed or ground bait should be used. 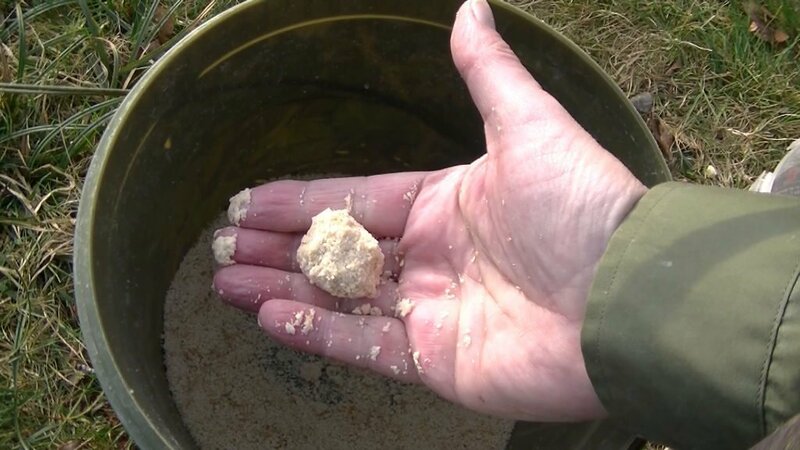 When using bread paste, flake or punched bread on the hook, ground bait the swim with liquidised bread in the summer, and a bread based cloud ground bait in the winter. Use small conker size balls and throw them in regularly to maintain a cloud in the water. Whereas for example, when using maggot on the hook, catapult a few out on every cast. I like to feed twice with maggots, in the hope the tiddlers will still be eating the fist lot when the second lot arrives. That way there is hope that some maggots will make it down to the lower layers. Cast out and let the rig settle, the bait should sink at a rate of about one foot every five or six seconds. Bites are usually positive with the float being pulled under. Lift bites are very unlikely, but the float may move sideways which is still a bite. When the bait has fully dropped, reel in a few turns to cause the bait to raise in the water and allow it to sink once again. You can represent the bait maybe three times before having to reel in and recast. Even in fairly deep water the rig only takes a minute or two to fully sink. Concerns over the float drifting are not so important, sinking the line is not usually necessary. But leaving the line floating can be an advantage, allowing the line to be easily picked up off the surface on the strike. I have perhaps given the impression that the rig should be set to full depth. In the winter fish will often shoal off the bottom and occupy a layer in the water that is most comfortable. But how do you know how deep the fish are? Fortunately you can work it out by watching the float. If the float never seems to settle before you get a bite, it means the fish are intercepting the bait before it has fallen all the way down. Shorten your rig to where you think the fish are. 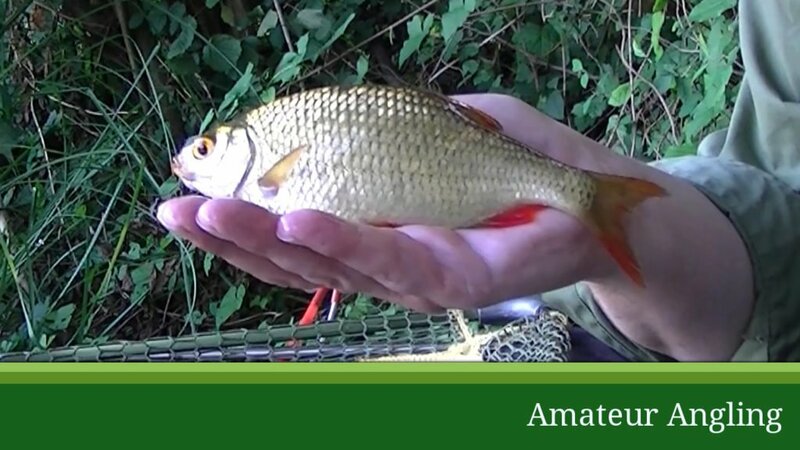 If after a while the bites fall away, it could be the fish have gone deeper, so lengthen your rig to reach them once more. Expect to alter the depth of your rig several times in a session to stay in touch with the fish. If the bait drops to the full and the float settles properly without a bite, leave the rig for a minute or two, then represent or recast. It’s perfectly alright to leave the bait suspended mid-water for a short time, but not too long, we are after all fishing on the drop. In the summer the fish can be very spread out and at different depths. Rudd love the warm upper layers. Roach will swim at any depth, but the better Roach are often near the bottom. On hot summer days when most species are lazing around, Rudd will bite even in the middle of the day. There are occasions when the Rudd will be so close to the surface, that a slightly different approach will be needed. Here I am fishing the float laying flat on the surface. The float is attached at both ends with a float rubber and then weights on either side. Although I have no control whatever over the float, it really didn’t matter as the fish were happily taking the bait.